Hi, hope you are enjoying our refer and earn apps and daily deals. Paytm india is back with another new offer of paytm UPI in which we can loot upto Rs.200 if we send Rs.1000 to any UPI address. There is no limit in Transactions so transact as many as possible and get maximum cashback. So Just Simply Follow Below Steps To Earn Some Free PayTM Money. Do Remember You Will Get Cashback Within 7 Working Days. It’s Not Instant. Note : You can win any amount of cashback of Rs.1 to Rs.200! 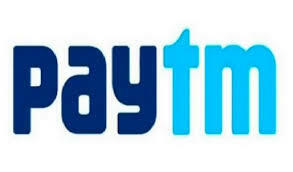 Link your bank account with Paytm and make sure that your paytm number and the number you entered in bank account is same. Otherwise UPI registration wont be completed. Once you have successfully registered on BHIM UPI click on Send Money. Enter Receiver’s Bank Account Number or UPI Address and enter a minimum amount of Rs.1000 and click on transfer. Transact as many times as possible to win more cashback. For more deals and loots keep visiting Lootwala and also download our lootwala app or join whatsapp broadcast!